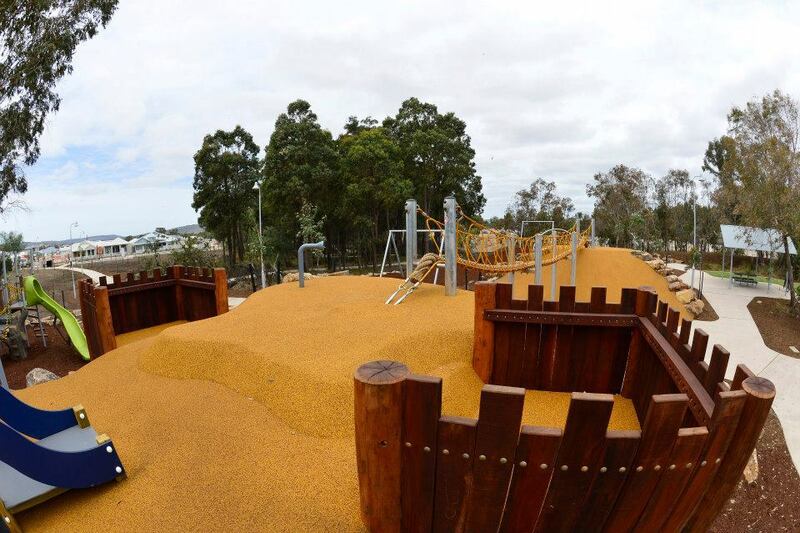 Seeking an awesome mega playground to bring the kids in the ever growing city of Ellenbrook in Perth's east? Well, read on! Annie's Landing is the final village of Ellenbrook – and is located at the suburb's most northern point. And, to accommodate the tens of thousands of residents now calling Ellenbrook home, a mega metropolis was recently built. Consisting of swings, climbing areas, massive slides, a high walking rope and, a clincher for this dad, a pair of flying foxes to revisit my youthful exuberance of yesteryear! With a lake on one side surrounded by tree and a large grass area perfect for a picnic on the southern side, it's a perfect pick for a beautiful morning or afternoon in the 'burbs. If you live in Ellenbrook just pop down the road and you've arrived, but it's well worth the visit for those residing in the outer suburbs. It's local, free and wonderful!